To report a gas leak, evacuate the building or area immediately and call 888-5366 during business hours and 888-2888 after hours, on weekends and holidays. 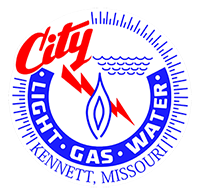 There is no charge for CLGW to respond to a possible gas leak anytime day or night, weekends, or holidays. ALL LEAKS: Extinguish all open flames. Do not light matches, cigarettes, etc. - turn off the gas supply, if feasible - evacuate the building or area - report the leak immediately. OUTSIDE LEAKS: Shut off any equipment in the immediate area that might ignite the gas then leave the area. Call us and report the leak. In an emergency, the gas supply to any house or building can be shut off at the gas meter. If you see a power line that has fallen or low-hanging, DO NOT get close to it or touch it! Call CLGW immediately at 888-5366 or 888-2888 to report it. Consider every power line to be energized and dangerous even if there are no sparks! Never touch power lines with other objects such as brooms, boards, limbs or plastic materials. And never touch anything (cars, fences, people) that is in contact with a power line.